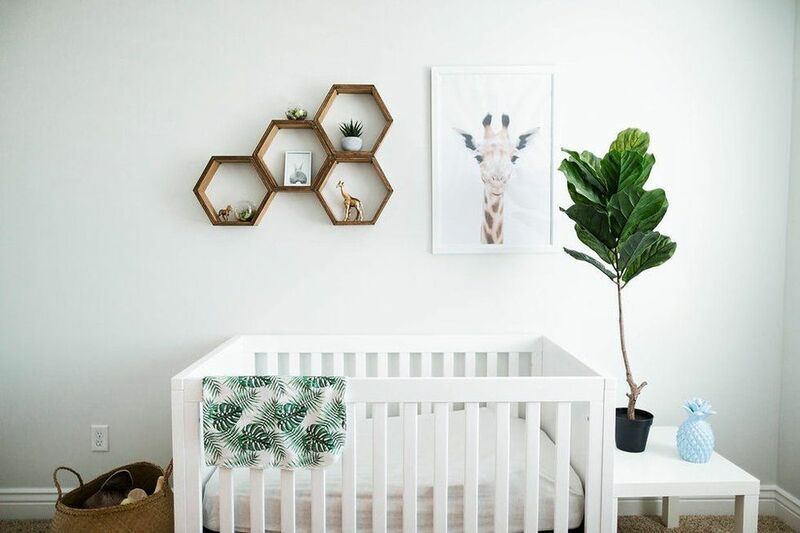 We rounded up our favorite examples of the greenery trend to inspire your own decor. 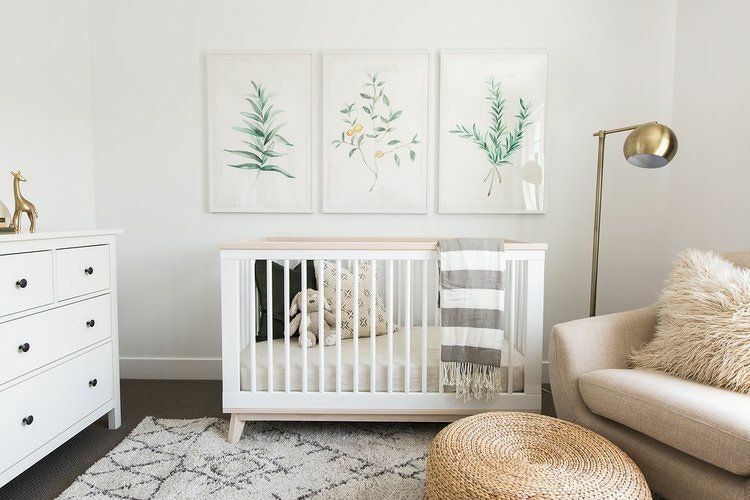 This oversized art would be at home in either a boy or girl nursery, and it would be easy to repurpose the prints in your home later on. 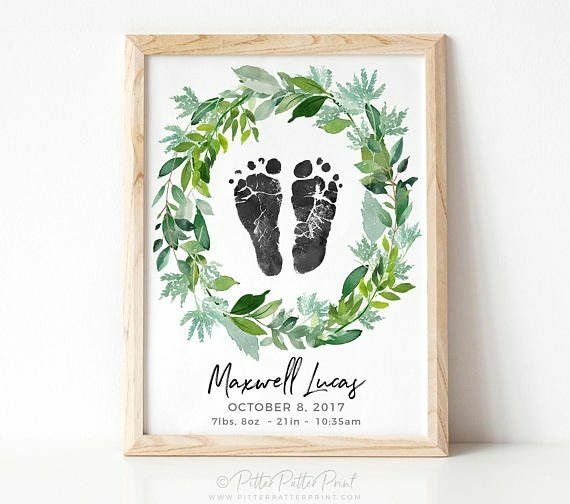 Go green with your keepsakes! 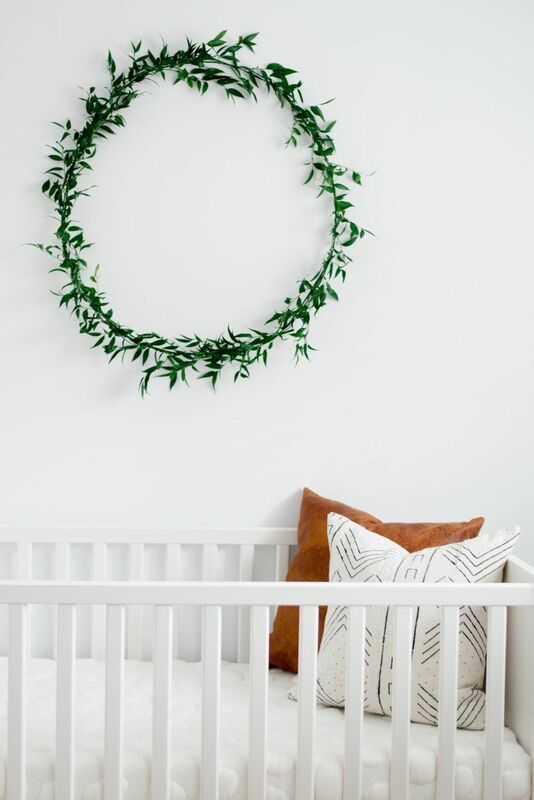 You never have to worry about this sweet birth announcement wilting. 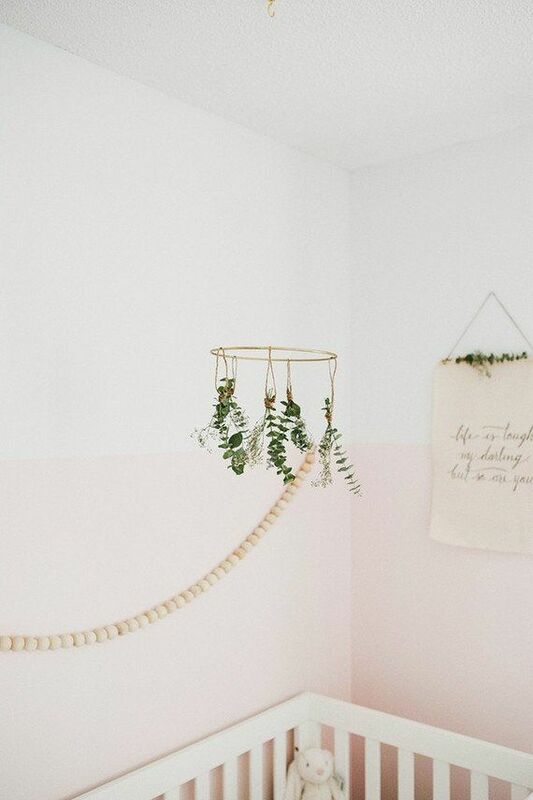 A simple, herb-inspired mobile is a delicate way to start every day with a bit of nature. 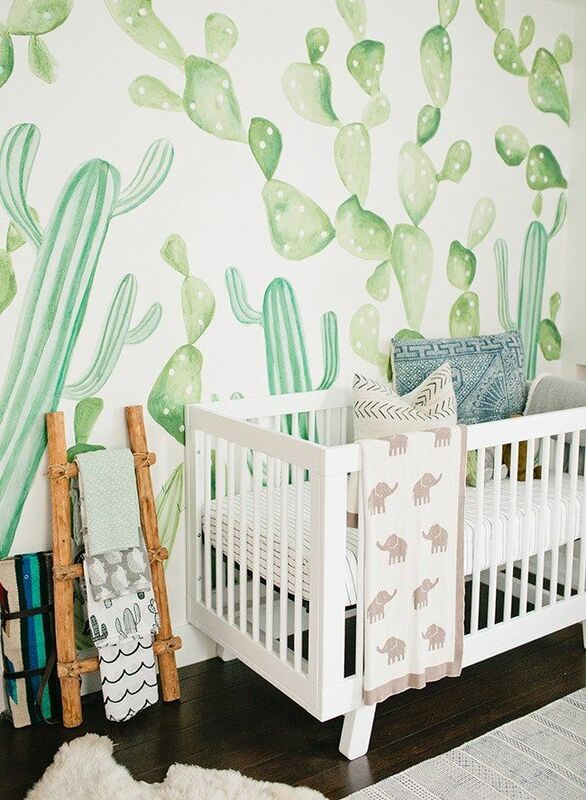 Statement wallpaper or a hand-painted mural is a great way to tie in greenery while also upping the room's style factor. 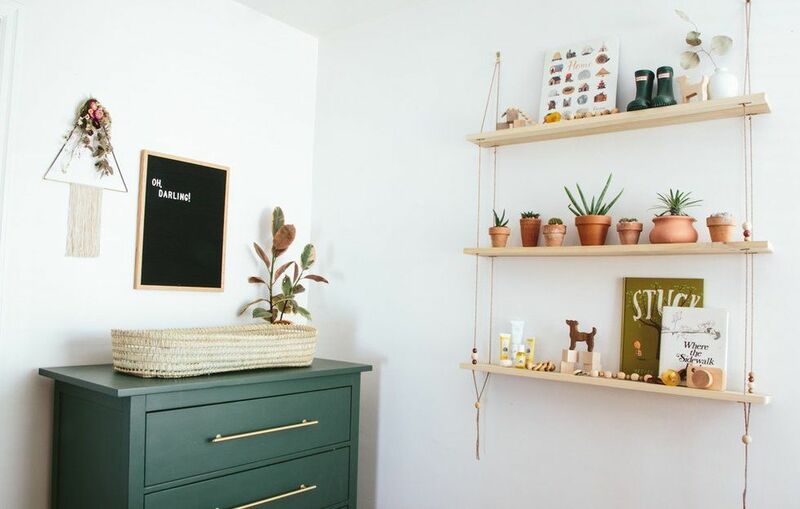 Even the tiniest nursery is freshened up by plant or two. 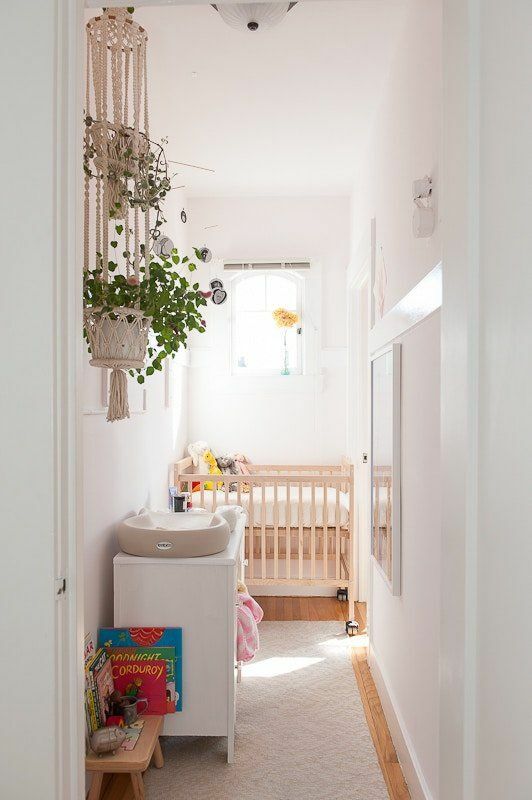 Hanging your fauna also saves precious floor space (and keeps leaves out of reach from tiny, pulling hands). Got a black thumb? No judgment. 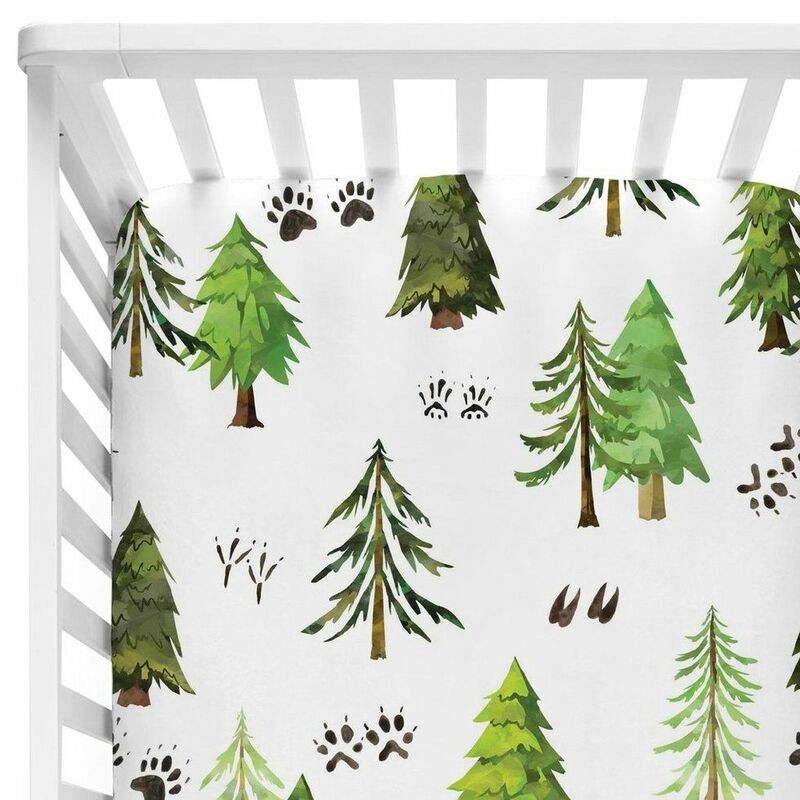 Add your greenery with a sweet sheet set (no pine needles necessary).